Bryan Hauger Consulting Film Blog August 2018 - Bryan Hauger Consulting, Inc. If you like reading this blog, be sure to check out our Pipe Blog, featuring new content from the world of Plastic Pipes! 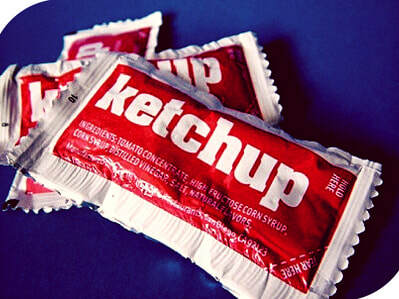 While plastic straws are being banned to reduce the world’s plastic footprint, scientists at Virginia Tech are focusing on the next step: plastic ketchup packets. Getting all the ketchup out of these packets is notoriously difficult due to a sticky polyethylene film, something that causes about 30% of the tomato goodness to be left behind after use. Because of this, manufacturers increase the size of the packet and ketchup amount to make sure you get enough ketchup on your burger. Thankfully, Jonathan Boreyko, Ph.D and Ranit Mukherjee found a new method using cottonseed oil to make the inside of the packet more slippery and less wasteful. Ultimately, this discovery means that a ketchup packet can have a smaller size to reduce plastic waste, plus you still get the ideal amount of ketchup on your burger. Read more about plastic packet waste here. For those who are passionate about paper and plastics, an upcoming conference is taking place in Chicago, IL on October 17-19 2018. There will be an abundance of networking opportunities and industry leaders from over 20 nations, all of which talking about the latest in recycling. It is a fantastic event that will attract experts in plastic film, plastics, packaging, and much more! Help shape the future of recycling by signing up for the conference today. 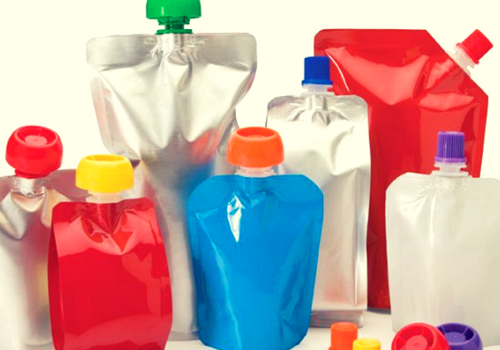 There are many different types of packaging out there and each one has its benefits and drawbacks. However, a plastic pouch package reigns king when it comes to sustainability and resource conservation. In this report, plastic experts Todd Bukowski and Michael Richmond detail 6 different packaging types and how they could become sustainable with flexible packaging. This report is exciting as it shows potential improvement for end of life processes for a variety of package types, all in an effort to help lighten the plastic waste impact. Click to read more about it today! Connecticut's WRAP recycling program started early last year and was aimed at increasing the recycling rates of plastic film packaged products. The WRAP program encouraged both the purchase and recycling of film based products in order to make for a more effective recycling process. After a full year of this program being implemented, an 11% increase in plastic bag recycling occurred and a 10% increase in people actually taking the time to return their film based products to the grocery store for recycling. This is certainly an encouraging report, let's hope this and similar programs continue to expand the plastic film market. Read more about Connecticut's WRAP recycling program.